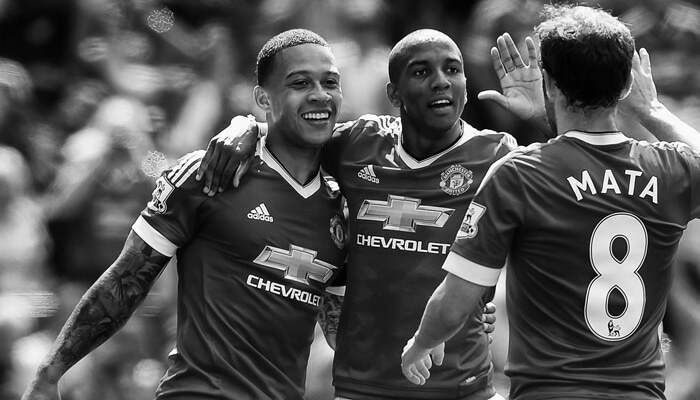 LVG needs to deliver now, and Young limits the team. Won’t his hand be forced? In selection and the market? Adding Pedro would be a great addition, but I still think there are three major flaws in this team. 1) Michael Carrick: I love Carrick, but he’s slow and is one of the reasons for needing a 4-2-3-1 rather than more of a straight 4-3-3. 2.) Central Defense is a shambles: Daley Blind is not a center back. Not even close. Even with Smalling starting to come into his own there isn’t a solid central pairing and this leaves the entire defense vulnerable thus also contributing to the need for a 4-2-3-1. If the defense was stronger then the need for 2 DM’s wouldn’t be necessary. 3.) Wayne Rooney: The fact that he is the captain and has made himself “indispensable” means that he will always be playing, even if it means that somebody better, more deserving, or in form will be sitting on the bench. He has become a detriment to the team, unless of course he can become an effective striker again and contribute to scoring goals. Send Fellaini to that retirement villa in Portugal along with “Tony V” (only wankers call him that). Schweinsteiger to open and manage the bratwurst-and-beer joint the Northern Quarter needs. Young to work in a bird sanctuary.